Spectacular home and property. This meticulously cared-for home is everything you've ever wanted. 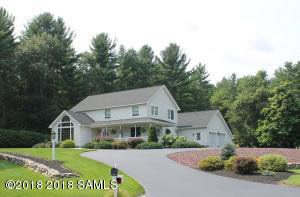 It's many amenities include a sun-room with cathedral ceilings, a chef's dream kitchen, screened porch overlooking the impeccably landscaped property with in-ground pool, deck and patio. Spacious master suite with his and her walk-in closets, beautiful 1st floor 1/2 bath and laundry with sink and custom cabinetry, oversized 2 car garage and detached 1 car. Just Beautiful!! !